Palermo The region of Sicily on Friday moved to suspend US defense plans to construct a satellite communications system on the Italian island after activists blocked construction crews. The move, announced by Sicily Governor Rosario Crocetta, came after protestors blocked trucks and cranes overnight in the town of Niscemi and later clashed with police near an American military base. 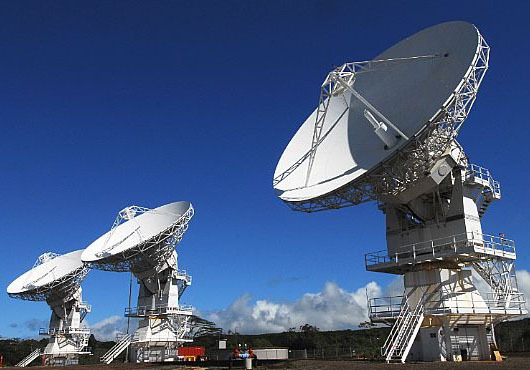 Builders at the site, which is part of a global satellite defense network called the Mobile User Objective System (MUOS), had allegedly rushed construction in recent days, according to the Sicily governor. “The regional government finds this sudden rush to complete the project truly extraordinary,” said Crocetta. Opponents to the project say it will be an environmental nuisance and threatens world peace. Other bases participating in MUOS are in Australia, Hawaii and Virginia. Sicily Governor Rosario Crocetta has halted the deployment of the US satellite communications system (Mobile User Objective System) in the region. The move came after protestors blocked the deployment in the town of Niscemi and later clashed with police near an American military base. The governor of the autonomous region wants more research on how the system affects health and environment.